You can view the full SVS Bill or Rights in our help center. 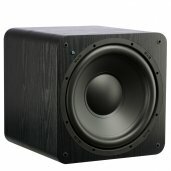 Are there 17 inches square in your home to make room for the most critically acclaimed subwoofer on the planet? The SB13 is the most popular Ultra for more than its modest stature alone. 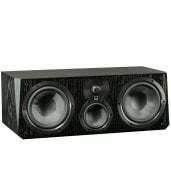 The flagship of our sealed models delivers a super-hero levels of power, detail, speed and musicality. Yet, disguised in an elegant and compact cabinet it goes practically unnoticed in any décor—until it is called into action. You’ll quickly find the SB13’s reputation is well deserved and its value unparalleled. Mission accomplished - SVS style. 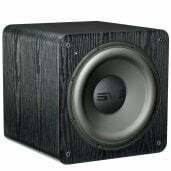 1000 watts RMS continuous power (3600 watts peak dynamic power). 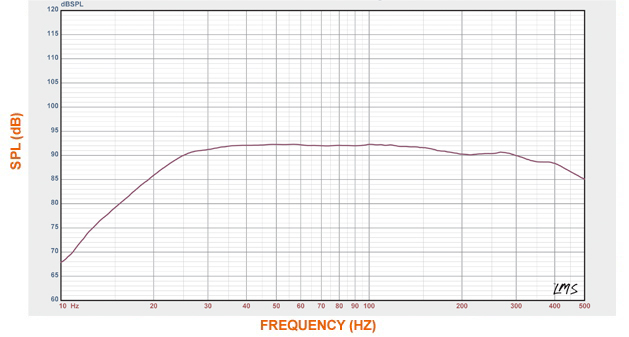 Equalization curve optimized for enhanced transient response and to complement room gain. Stereo line-level RCA and balanced (XLR) I/O connections for the ultimate in connectivity. DSP control for the ultimate in refined behavior under all operating conditions. 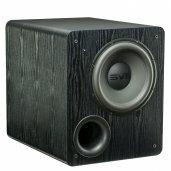 Available in premium real wood veneer black oak or stunning piano-gloss black, and protected by an attractive and durable curved metal grille (removable) – the handsomely styled SB13-Ultra will complement any upscale décor and high-end theaters. 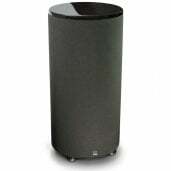 At just over 17" on all sides, the SB13-Ultra offers versatile placement options to integrate into your living space. 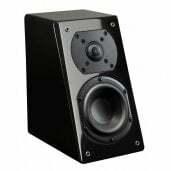 Weighing in at 92 pounds, the SB13-Ultra is robustly built with extra-thick CNC cut panels for the ultimate in rigid and resonance-free construction. 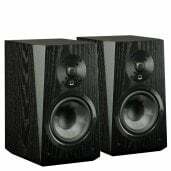 Premium real black oak veneer or gorgeous piano gloss black finish options. Handsome styling complements upscale décors. Versatile placement options and easy integration into any living space. Curved metal grille with secure pin/cup retention system gives high-tech appearance. 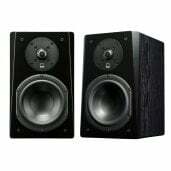 Almost clinical in accuracy, the SB13 Ultra will reveal subtle textures and nuances lesser subs simply ignore. With unmatched transient response, quarter notes and complex bass lines are all delivered with toe-tapping rhythm and pace. 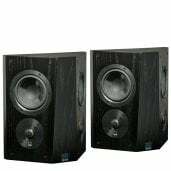 Dynamic range is outstanding, with kettle drum and deep piano key strikes rendered with stunning realism. In mid-size rooms with a modicum of room gain, deep extension is fathomless. 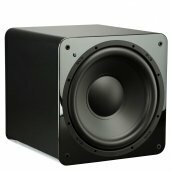 In addition to its world-class music chops, the SB13-Ultra won't disappoint on movie night, shrugging off the most demanding DVD passages without breaking a sweat – "Regardless of the source material, the SB13-Ultra simply ties the experience together with brilliantly deep, taut and compelling bass." 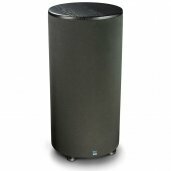 - Home Theater Review's subwoofer review. Go ahead, spin your favorite CDs, vinyl records and DVDs. 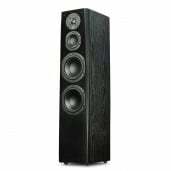 You'll discover the SB13-Ultra personifies sonic synergy - where the whole is greater than the sum of its parts. 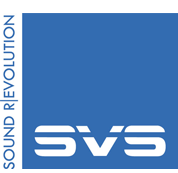 Experience audio immersion at its finest – exclusively from SVS. 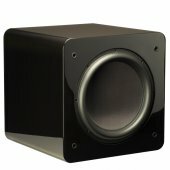 If you dont have a lot of space for a monster sub but still want powerful clean deep bass that aesthetically is stunning, this is the sub!! When set up properly it will pump out lows well into the teens with authority and give action movies with with quality sound track room shaking frequencies that at times are below our ears ability to hear, during those moments i sit back and smile ear to ear while myself and the room gets a nice subsonic massage, while there is no straining from this beast. I was pleasantly surprised just how fast and detailed this sub is for music. 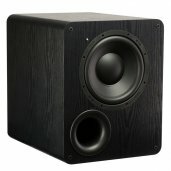 It truly made my bookshelf speakers sound like i upgraded the internals. Very clean high powered sub. Highly recommend. 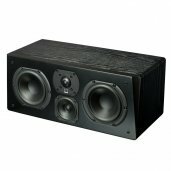 The reviews are simply amazing on this sub so I was very interested but I still I asked a lot of questions before purchasing this sub because I was not sure if this was for me. The sub itself has a very sturdy build, solid, strong as it looks in the photos. Its heavy. 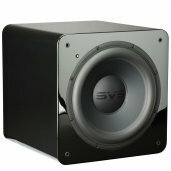 The sound is incredible - super deep bass and takes up very little room.